Situated off the coast of Virginia's Chesapeake Bay, the group of islands known as the Shore has been home to generations of fierce and resilient women. Sanctuary to some but nightmare to others, it's a place they've inhabited, fled, and returned to for hundreds of years. From a half-Shawnee Indian's bold choice to flee an abusive home only to find herself with a man who will one day try to kill her to a brave young girl's determination to protect her younger sister as methamphetamine ravages their family, to a lesson in summoning storm clouds to help end a drought, these women struggle against domestic violence, savage wilderness, and the corrosive effects of poverty and addiction to secure a sense of well-being for themselves and for those they love. Together their stories form a deeply affecting legacy of two barrier island families, illuminating 150 years of their many freedoms and constraints, heartbreaks, and pleasures. Conjuring a wisdom and beauty all its own, The Shore is a richly unique, stunning novel that will resonate with readers long after turning its final pages, establishing Sara Taylor as a promising new voice in fiction. The Shore was a unique book, nothing like I've read before. It was a collection of linked short stories that came together to form a novel. Each story is a vignette that relies on previous or future chapters for additional context. The book's timeline spans over 250 years and focuses on two families a long history on The Shore. At the beginning of the book, there is a family tree. This is a very important resource which I highly recommend you bookmark. I found myself referencing it at least once per chapter. Each story focuses on the lives of the female family members and we meet each of them at different points in their lives. Since the stories are connected, we also get a chance to see the ripple effects of their decisions through the generations that follow. The Shore was a very compelling book which I read in only two sittings. This book is not very light hearted and at times can be gut wrenching. This because of the struggles the women of The Shore must endure. They are subject to starvation, neglect, sickness and emotional and physical abuse. If you find any of these topics difficult to read about, then proceed with caution. Given the topics, I would recommend this book to adult readers. It's a great book to take with you to the beach or on a road trip because of the way it's put together. 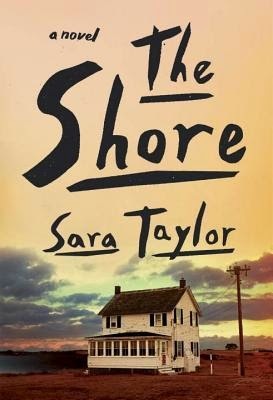 The Shore is a wonderful debut from Sara Taylor and I'm really looking forward to her future work. Have you had a chance to read The Shore? I would love to hear your thoughts on both the context and format.